I was certainly surprised to get your letter, and all the more at the way you say you came in possession of my name. Please write & tell me more fully about it. I don't think you could have written to anyone that could tell you more about the TERRY's of Limestone County Ala. So take an easy chair and I shall do my best to give you what information I can. First I will identify myself. I am a second cousin to Robert Allen Terry [Robert Allen Terry, b. 03 December 1862, d. 13 October 1928], the Allen in his name was for my grandfather [Allen Favor Terry, b. 28 June 1842, d. 19 March 1916] and an uncle of his. My father [Milton Terry, b. 1865] and him were boys together, lived and grew to manhood in about 1/2 mile of each other, in fact when R. A. moved to Texas, we were living at (well my pen has quit. I shall have to finish with this) the old home place of each family, about 1/2 mile apart. Now to prove to you that I do exist and am the Real Thing, I will give you the names of the family as they were when they left Ala. in 1900. Beginning with the eldest. Elizabeth [Elizabeth H. J. Davis, b. 01 May 1838, d. 21 December 1922, m. 22 January 1862], mother of R. A. [Robert Allen Terry, b. 03 December 1862, d. 13 October 1928], Susan [Susan Kelly Ann Puryear, b. 09 March 1864, d. 06 June 1949, m. 22 July 1883], the wife, children Urban [Ernest Urban Terry, b. 29 May 1884, d. 09 April 1959], Freddie Frank [Fred Franklin Terry, b. 04 April 1887, d. 10 October 1951], Ida [Ida Mae Terry, b. 24 September 1885, d. 16 December 1986]. I am not positive which of these was the oldest but on second thought, I think IDA was [actually Urban was] then David Dossen [David Dawson Terry, b. 08 March 1889, d. 26 June 1980], Lizzie [Elizabeth Beatrice Terry, b. 01 October 1893, d. 10 April 1973], Robert Morton [Robert Morton Terry, b. 31 October 1891, d. 26 October 1941]. Lolo [Lolo Marie Terry, b. 07 July 1896, d. 03 July 1971] is the way they pronounced the baby's name. It may have been LOLA but I don't think so. Now for a little background and then history. R. A. Terry's father was named Chapman [Chapman Lee Terry b. 08 July 1824, d. 22 October 1898], always spoken of as Uncle Chap. He was married twice [first to Martha Jane Fudge, b. 1824, d. 1861, m. 02 January 1843 and to Elizabeth H. J. Davis, b. 01 May 1838, d. 21 December 1922, m. 22 January 1862] and was the oldest of my grandfather's brothers, my grandfather being the youngest of seven brothers of whom I know very little except their names and where they were about the year 1861. 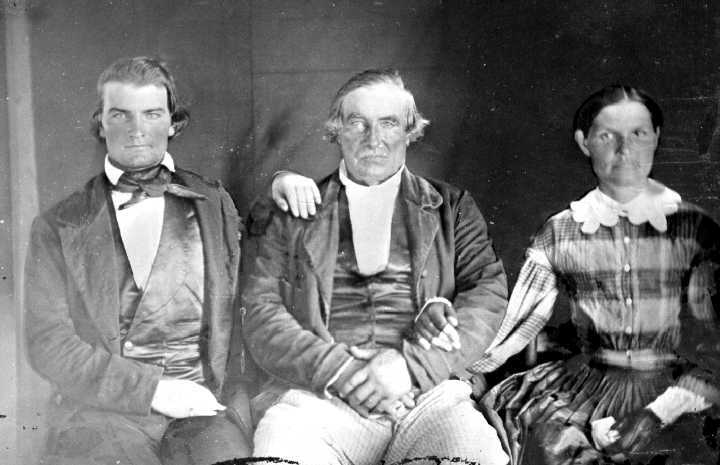 I have heard my grandfather talk of them quite a lot but of these seven, three lived and reared families in Limestone County, Ala. Uncle Chap [Chapman Lee Terry, b. 08 July 1824, d. 22 October 1898], Uncle Tom [Thomas Lafayette Terry b. November 1825] and Allen [Allen Favor Terry, b. 28 June 1842, d. 19 March 1916, m. 1864 to Elizabeth Minerva Fudge, b. 19 August 1837], who was my grandfather. The rest of the brothers as I remember was Chapman [Chapman Lee Terry b. 08 July 1824, d. 22 October 1898], Thomas [Thomas Lafayette Terry b. 1825], Walker [Walker J. Terry, b. 1839], Dock [??? John C. Terry, b. 1832], Hamilton [James Hamilton Terry, b. November 1825], usually called Ham, Lafayette [??? Thomas Lafayette Terry b. November 1825], usually called Fit. These last two were twins, and Allen [Allen F. Terry b. 28 June 1842, d. 19 March 1916]. They also had one or more sisters, I think two. One was named Rebecca [Catherine Rebecca Terry b.1817] as was their mother. [Also sisters Mary M. Terry, b. 1830, Caroline K. Terry, b. 1835 and Eliza Jane Terry, b. 1837] Their father was named James [James Terry, b. 1788]. Having an only brother named Charles, the two were separated evidently about 1800 and being uneducated and with no good means of communication, James never knew what became of Charles. I think they were reared in Virginia. All of these children, except Bill [William Tom Terry] as he was called, and Brice went to Texas in 1892 and I know very little of them except to know that they are dead. Bill and Brice went to Arkansas. Brice never married but always lived with Bill. Uncle Chap married again about 1861 or 2 [m. 22 January 1862] and I think R. A. [Robert Allen Terry] was born about 63 or 64. [b. 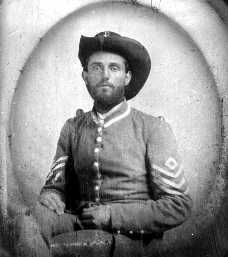 03 December 1862] He was a little older than my father who was born 1865. Uncle Tom [Thomas Lafayette Terry b. November 1825] had Rufus [Rufus R. Terry, b. 1858], James [James C. Terry, b. 1862] usually called Jim Cris as a distinction from Black Jim, a daughter Liddia [Lydia A. Terry, b. 1854], twin boys called Joshua [Joshua Terry, b. 1865] and Lafayette [Lafayette Terry, b. 1865]. [Also Henry H. Terry, b. 1864] These children all moved to Franklin County Ala. and are all dead. The daughter [Lydia A. Terry, b. 1854] died here in Limestone. Walker went to Texas in the early days and I think married out there. Very little is known of him except I heard once that they heard he had a son named John that was a very bad man and was hanged in Texas, for what, I did not learn. Dock and Ham lived in Hardin County West Tennessee. Fit died without marrying I think. I have never known much more than this about them. Allen [Allen Favor Terry b. 28 June 1842, d. 19 March 1916, m. Elizabeth Minerva Fudge 1864, b. 19 August 1837, d. 09 November 1919] had four children, two boys and two girls. Milton, [Milton Solomon Favor Terry, b. 04 May 1865, d. 19 November 1940] who was my father and Isiah [George Isaiah Smith Terry, b. 01 June 1873, d. 28 February 1933]. The girls were Sally Bittie [Sally Betty Ann Terry, b. 25 October 1867, d. 10 July 1885] and Frannie [Francis V. Terry, b. 10 August 1870, d. 30 July 1923]. All of them are dead. I have seven brothers, all living but one. For your mother, I shall give the names of my family that she may better remember the children in the order named living now at the place as given. Julian, Charlotte NC, Joseph (the writer), Athens Ala., Fred, Louisville KY, Jane, the only girl, Adger Ala, Ira, Athens Ala. This one went to see R.A. about 20 or 25 years ago. He was passing through Greenville Texas and stopped by to see him. Stroud, Belle Mina, Ala, Everett, Florence, Ala, Owen, Birmingham, Ala.
Now just a word about myself. I am 57 years old, have 4 sons all married, have ten grandchildren and am a Christian. Have lived my life in this county within 10 or 12 miles of Athens. Now a word about the place that your mother's people went to church. It was not Bethel but Shanghai for all of R.A.'s children, but I suppose in his early days, he may have gone to a church called Beary for the building was burned before I was born. There was a cemetery there and there is where Uncle Chap and my grandfather & mother are buried. I remember being at Uncle Chap's funeral. I was about 13 years old when they left for Texas. Well do I remember the lump in my throat when they came by our house on the way to town, which, as I remember, was the first time some of the children had ever been to town. Well, I have scribbled enough for now. Tell any of them that are living to write to me. If your grandmother is still living, tell her to write to me & tell your mother [Lolo Terry] to write and you may tell me what her name is. I don't know which one of the girls is your mother. I am living about 3 1/2 miles west of Athens on the Florence Road. Run a small store & mill. Worship at Valley View Church. I did live until 1940 on Route 4 and worshipped at Bethel which is a mile west of Athens on the Huntsville Road. I suppose that is how the young lady got me on Route 4. I lived up there about 16 years. Well, I will close. If you can read this, answer all my questions and I will do better next time maybe. Ha Ha.